This is the most “Christmasy” Christmas Card that I have ever seen. The traditional colors and the tree are awesome. Very fun and cheerful card. I love it. I am jealous that you got your cards done. I am right on your heels, and should be done today. but I feel a few more that I may have to make. Just for fun. 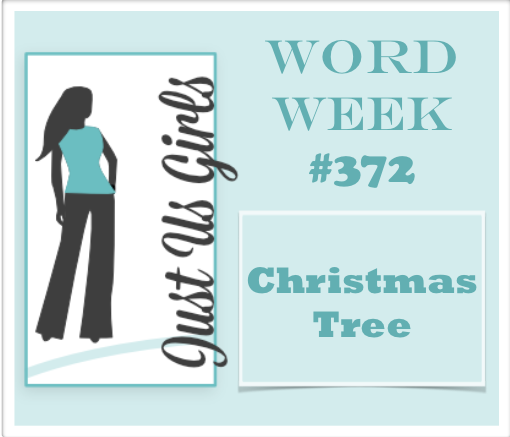 Your tree cards are so pretty! I like how the tree goes off the paper in the first one, Nancy. I also like how you put the sentiment on a label. Great cards. So cute and so traditional. Love your layout. Love this Nancy. 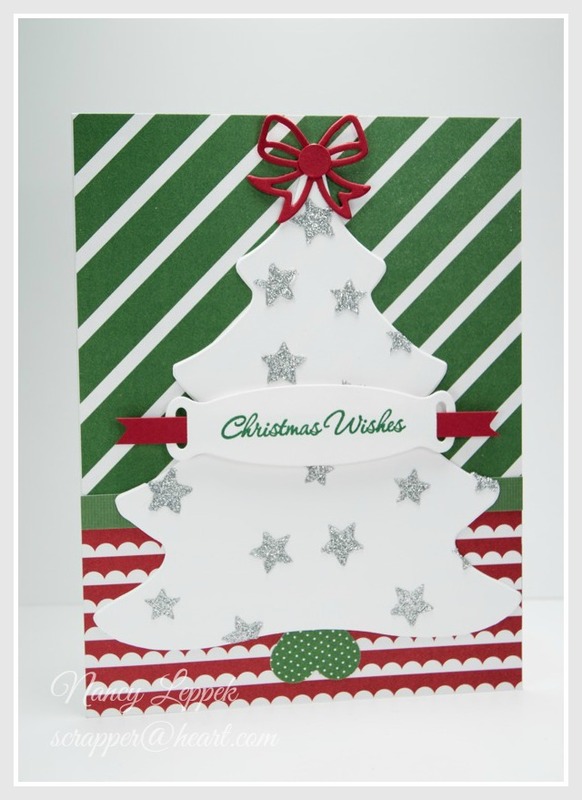 Such pretty pattern papers to frame that sweet Christmas tree. Love the red and green and that fun tree! Very pretty cards! This is adorable! I love those textured, sparkly stars scattered over your tree. I really like the mix of patterns on your background, too. Wow, I love this design. 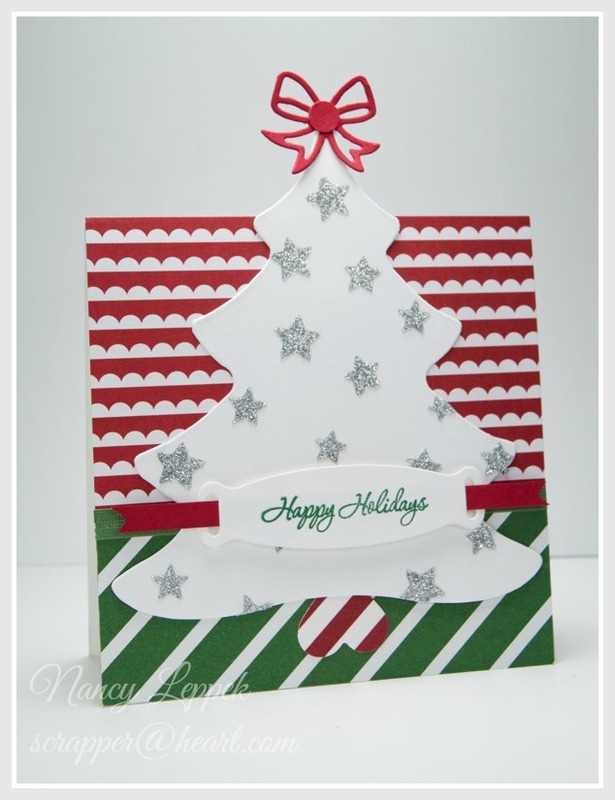 Great way to pop the tree up above the card front, and that ribbon on top is just the bomb! Well done!